I'm very sad that CJ (good friend, partner-in-crime and fellow pho/chilli oil dumpling/dirty martini enthusiast) is MOVING overseas on Sunday. 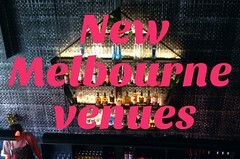 One of our last excursions out together was a recent low key evening in Northcote - pizze at Pizza Meine Liebe and then a gig at the Northcote Social Club (to see Hey Rosetta!, a Canadian indie rock that seamlessly incorporated a violin and cello into the usual line-up of instruments). If you don't know Pizza Meine Liebe, shame on you. 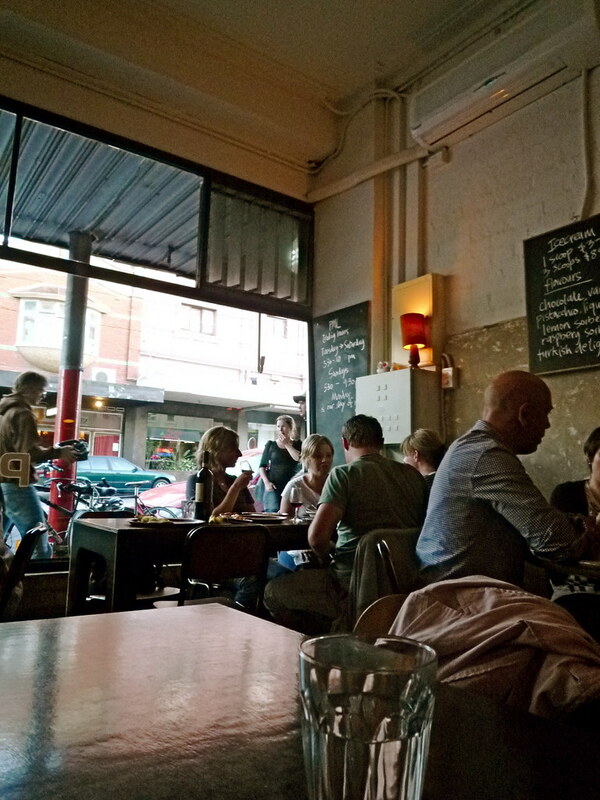 It's a great little pizzeria in High Street, and it's one of my favourites in Melbourne (along with Woodstock, Ladro, I Carusi and Pizze e Fichi). 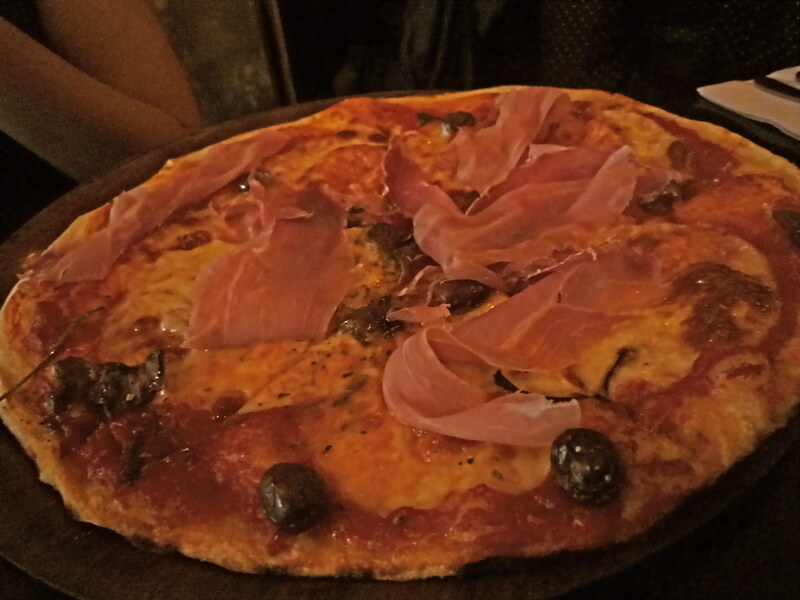 Beautiful thin crust pizze with interesting ingredients. A and P joined us for dinner and the gig. CJ and A shared a large PML Capricciosa ($19.50), which had tomato, mozzarella, oregano, porcini mushrooms, olives and prosciutto. Be aware that the olives at PML are not pitted - CJ nearly broke a tooth chomping in to one! As usual I was unable to resist ordering a pizza with porcini, but because I wasn't in a meaty mood I ordered a small Haus Special ($15), which also had tomato, buffalo mozzarella, olives, oregano and anchovies. It was great. 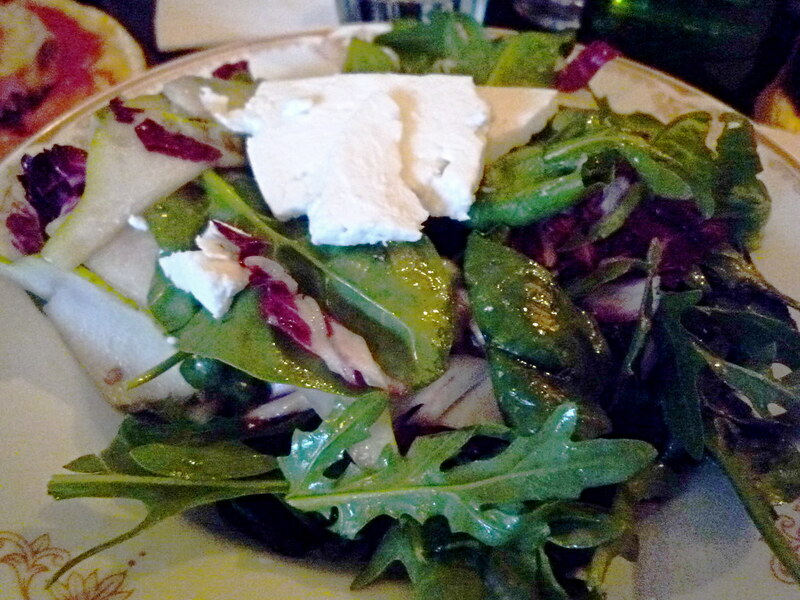 Isn't melted buffalo mozzarella the best thing ever? 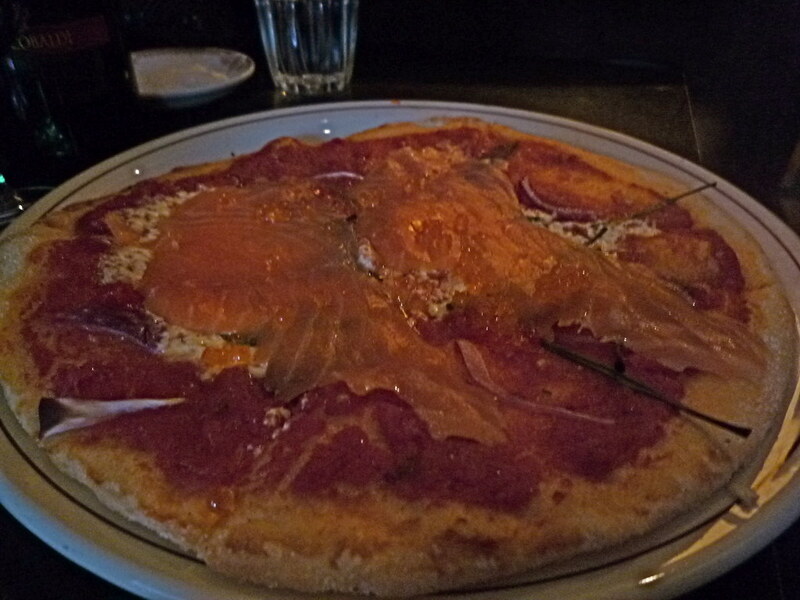 Of the four of us, P ordered the most adventurous pizza - the Tom Cooper ($14) with tomato, mascarpone, chives, red onion, chilli, Tom's smoked salmon and salmon roe. As a rule I don't usually like seafood (not counting anchovies!) on tomato based pizze, but P and I swapped a quarter slice and I decided I liked it. 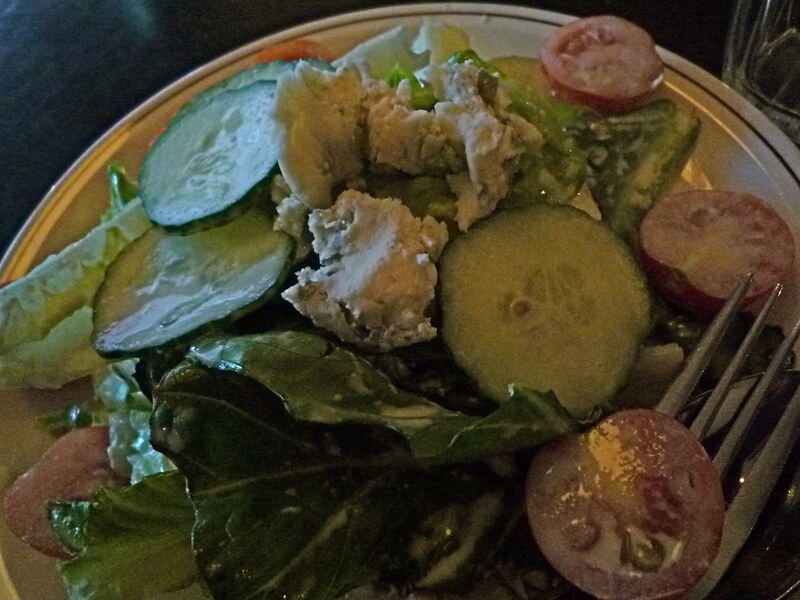 We also ordered two tasty salads to share: on the left is one with salad leaves, fresh pear, sheep's milk fetta, walnuts and vinaigrette ($9.50) and on the right is the Blue salad with cos leaves, cherry tomatoes, cucumber and a light gorgonzola mayonnaise ($9). 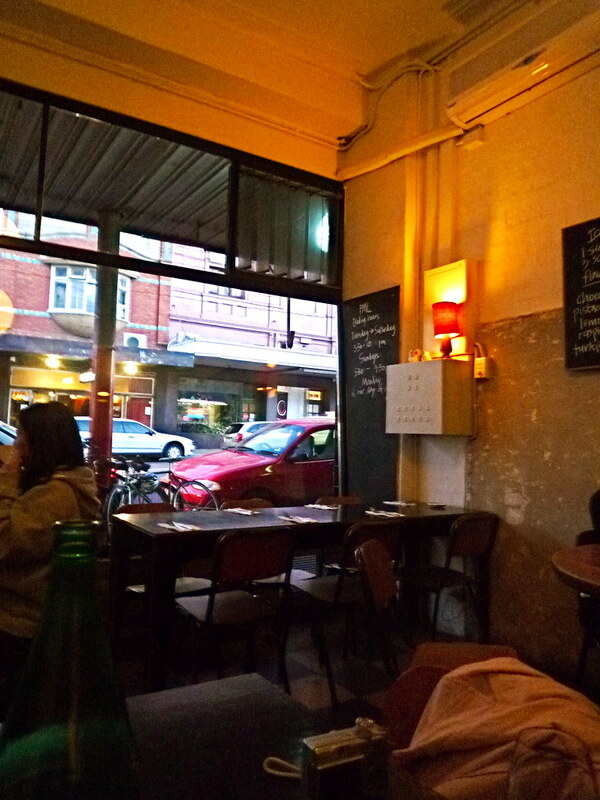 Ladro was my favourite when I was in Melbourne - the thin crusts there with a wood smoked flavour - sensational! Hmm, I have to say that I find Ladro a little overrated. I love this place, and funnily enough, five people I know have been there in the last two days...WITHOUT ME. 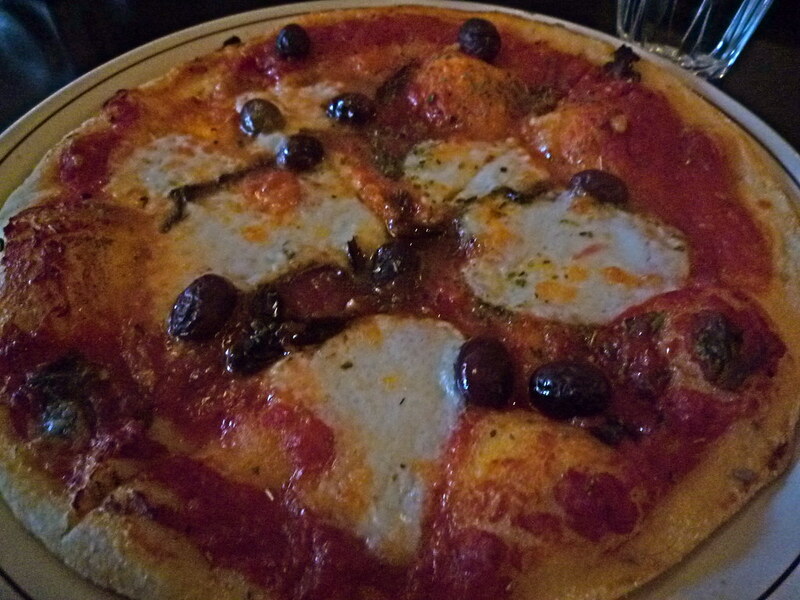 I do love DOC for pizza, despite not using woodfire ovens, as well as Cafe Bedda. 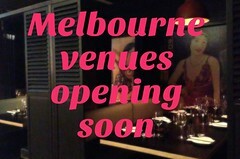 It is worth booking there but be warned they only take 5pm or 8pm bookings, so plan your night accordingly. Good point about the two sittings for bookings Clare (though are you sure it's 5pm for the first one? I think they'll normally take a 6pm booking)... I should've mentioned it the first time around. Thanks!